Large Cathedral crosses stretched across a background of smaller crosses makes for a powerful statement. This designer cobalt chrome men's Christian wedding ring offers the durability and lustrous appearance of cobalt chrome coupled with a 7mm comfort fit band. 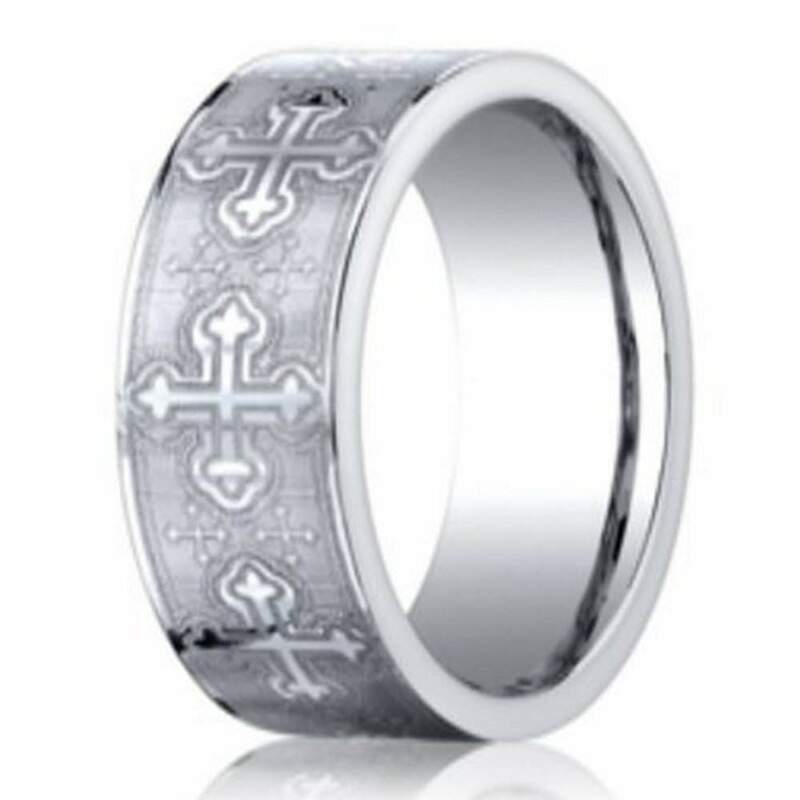 An appropriate and meaningful choice for the religiously devout man.Comfort fit rings usually measure 1/2 size smaller due to the additional metal inside the ring. We recommend having your finger measured for a comfort fit ring at your local jewelry store. I fell in love this ring when I first saw it on Justmensrings.com. I knew it would be a perfect wedding band for my husband, since he lost his a while back. I received it quickly in a gorgeous box and the ring itself is even more beautiful in person! My husband loves it and he has received many compliments on it! Thank you! This ring looks even better than what I was expecting. My husband absolutely loves it. He gets so many complements on it.